The Club holds competitions both annually and at intervals during the year. Members’ competitions are held during the winter programme, usually with open subjects. Annual competitions, for which trophies are awarded, are open subject. Three trophies are also awarded annually on the basis of the monthly competition results. All members are very welcome to enter the competitions; equally, if you prefer to come along and look at the other members’ entries that’s fine too. Wherever possible outside judges are used, and all our judges are ones who offer constructive comments and advice on entries. The main purpose of the competitions is to get external comments on our work, and so help us form our own judgements about our photographs. Entry fee is £2 for each competition, which covers entries to all or any of the classes (colour prints, mono prints, projected digital images) at a meeting (see Competition Rule 4 for details of entries). There’s an entry form to be filled in on the evening or you can download it from here, in advance. 4 for First, 3 for Second, 2 for Third, 1 for Commended. There are annual competitions for monochrome prints, colour prints and projected digital images, without any restrictions on subject or where taken. There is also a single print competition for colour or mono photographs taken at club events and normally judged by club members. In addition, there is an annual John Saunders Competition for a set of photos, and the Photo Finish Impact Trophy for prints and the Walford and Round Trophy for prints with set subjects. For photographs taken at a club event or evening: The Brantwood Cup for the best colour or monochrome print. For photographs taken at any time or place: The Beechcroft Cup for the best projected digital image. The Wordsworth Cup for the best monochrome print. The Alcan Shield for the best colour print. The John Saunders Cup. This annual competition is for a series of between three and seven prints, linked by a common theme, which together tell a story, it is rather different from our usual events where it is the individual images which are being judged. A maximum sheet size of 50 x 50 cm (20 x 20 inches) to mount 3 to 7 images on, with two entries per member. Members to bring these on the night. for prints and slides taken to illustrate set subjects which are notified at the AGM and in the summer programme. The Photo Finish Impact Trophy. Mike Carwithen of Photo Finish presented the club with this trophy and sponsored it until his retirement in 2016. We are very fortunate that Mick Crossley of The Art Framing Workshop has offered to continue the sponsorship and judging for this trophy. The competition is for prints with the subject of “impact”. “Impact” is a subject which is open to all kinds of interpretation – it could be a landscape or architecture, it’s not restricted to photos of action. Entries must be brought to the club the week before the judging of the competition. scoring the highest number of points in the colour print class. The Tony Grice Trophy shall be awarded to the member scoring the highest number of points in the monochrome print class. The Bodicote Trophy shall be awarded to the member scoring the highest number of points in the colour print and monochrome print classes combined, subject to Rule 4. Grice Trophy may not win the Bodicote Trophy in the same year. Should either of those winners also have the highest combined scores, the Bodicote Trophy will be awarded to the member with the next highest number of points in the two classes combined. be accumulated by entrant, both by class and for all classes together. competition, then the points awarded shall be accumulated towards that entrant’s total, but the placing shall not be used to resolve a tie as set out in Rule 8. (other than “Commended” entries scoring 1 point). In the event of a tie for either trophy, the member with the highest number of first places shall be awarded the trophy. If there is still a tie, then the member with the highest number of second places, then the highest number of third places. If there is still a tie the trophies shall be shared. at the end of the Winter Programme, and is open to all members who have not achieved a first, second, or third place in the monthly or annual club competitions since the previous September, or who have not yet entered competitions at the club. The winner of this cup may not compete in this competition in the following year. The following rules shall apply to all of the club competitions, except where explicitly stated herein or by the rules of a particular competition. All images must be produced by a recognised photographic process. The copyright of an entry must belong to the entrant. Prints should be mounted. 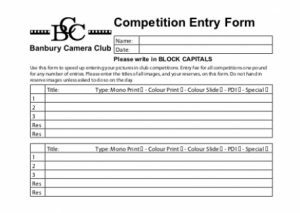 The regulation maximum mount size for Banbury Camera Club competitions is 40cm by 50cm. This is to conform with external competitions, the club Print Collection Box and the Annual Exhibition Frames. Smaller mounts put forward by the club for external competitions would need to be remounted (by the Club) to the regulation size. 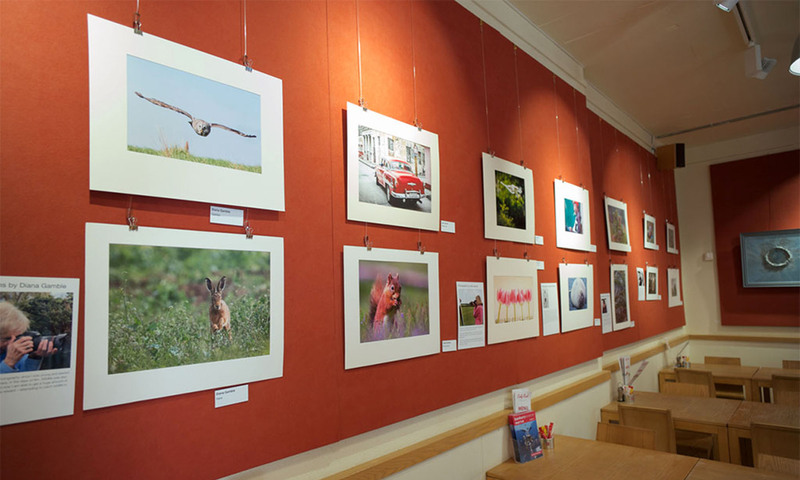 Members can submit larger prints to internal competitions – Panoramic Prints etc. , providing they fit on the club display stand, are pre-notified to the club competition secretary the week before, on hand-in date, and are presented on the competition evening by 7pm. This is to ensure that the Competition Secretary does not have to handle outsize prints which will not fit into the print box and could be subjected to damage risk as a result. This extension to the normal Camera Club print size format is to allow members of Banbury Camera Club the creative scope to submit larger prints should they wish. For each print entered in a competition, members should also provide a digital image suitable for projection onto a screen during the competition. An ideal image is a minimum of 1400 pixels wide or 1050 pixels high. A digital image can be provided by email or on a memory stick. In members’ competitions, a member may submit up to two print entries in total – either two colour, two monochrome or one of each. For projected digital images, up to two in total may be submitted. For annual print competitions, each member may submit up to two entries in each competition – two colour prints and two monochrome prints. the judging of the competition. Photographs entered in members’ competitions are eligible for entry in the annual competitions. Photographs entered in club event annual competitions are eligible for entry in the open annual competitions. 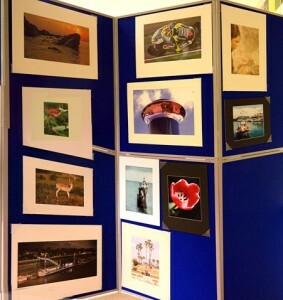 Photographs which have been placed (first, second or third) in members’ competitions are not eligible for entry into following members’ competitions, in the same or any other year. eligible for annual competitions in following years. A title is required for each competition entry, and the title and photographer’s name should be put on the back of each print. (black) to the very clear grey (white) is a monochrome work with the various shades of grey.